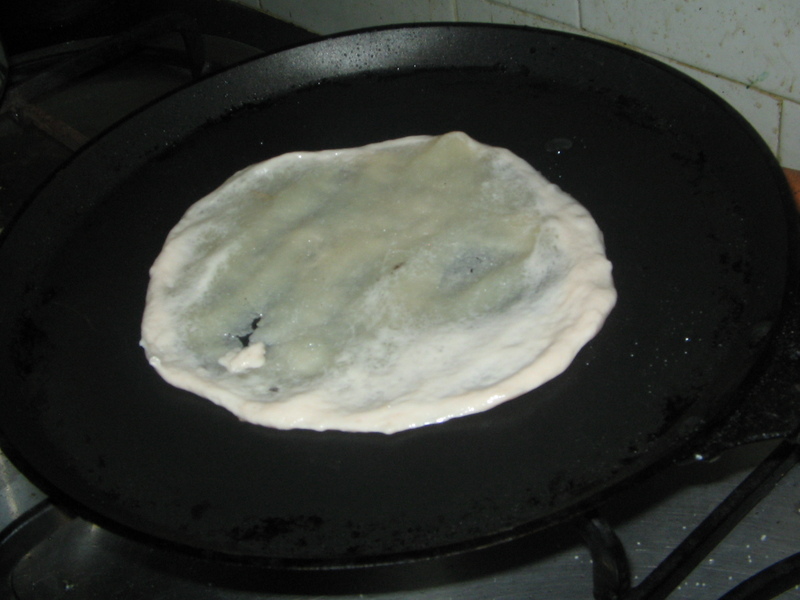 Suji halwa bobbattu tastes yummy,we shallo fried it due to calorie conscious.Previously we used to deep fry it,then it was called as Sojiappam. Place a heavy bottomed vessel on the stove,add 1 tsp ghee and roast the suji ravva in med temp till light brown .Keep it aside. 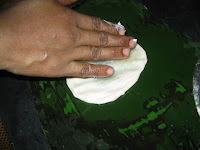 Add sugar and water in a seperate bowl and let it boil,after it is boiled add suji ravva slowly and cook in a low temp. Now add ghee and cook till it turns in to a halwa paste,leaving the sides. Switch off the stove,cover with a lid and allow to cool. After it is cool,make small portions into round balls n keep them covered. 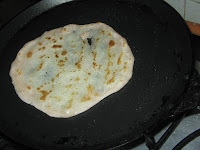 Mix maidha well with water into a smooth dough ,like we prepare for puris. Lastly pour 2 tbsp oil and mix n pat with the hands.It will be smooth .Keep it aside for more than one hour..it should be done before preparing the halwa. 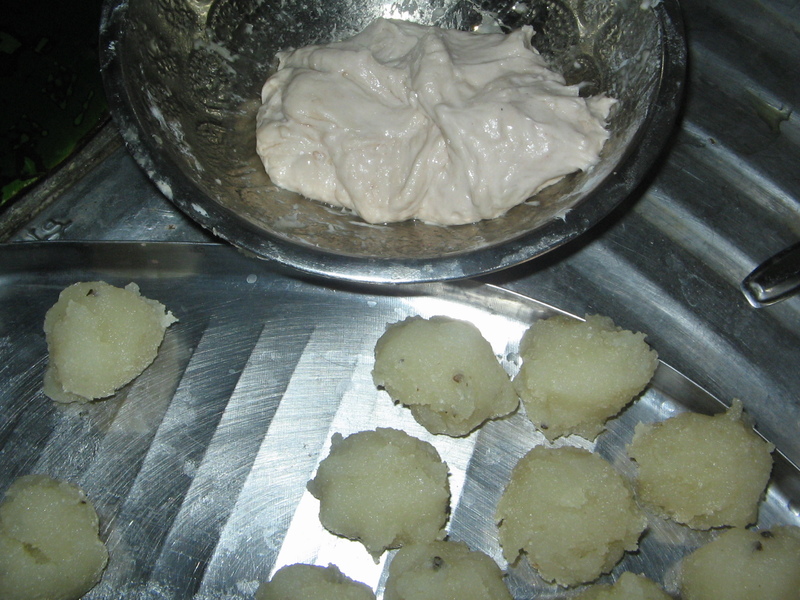 After one hour make small portions into balls n keep them covered. 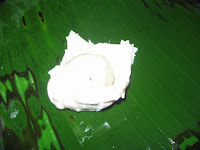 Taka a plantain leaf/plastic foil spread a few drops oil with your hand,take a small ball of maidha and spread it with your hands,in to a small puri. Then take one halwa round ball,and keep it in the puri and cover from 4 sides. Now again press with your oily hand and spread it ,and place directly on tawa and shallow fry with oil/ghee as per your choice.. If you are not calorie conscious deep fry in ghee /oil. A sweet item which we can offer as prasadam,children love them..This recipe is straightly from my sister padmas kitchen..
A very new dish, detailed presentation indeed! Wow one of my favourite its very tasty. Ananda,that is sojjappam,we fry them in ghee,they stay for many days say more than a week,and taste yummy. 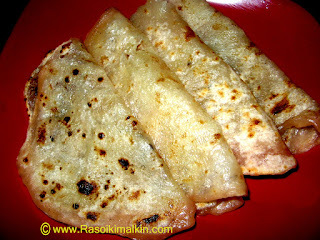 Babattu looks so tasty and delicious.Yummy Yum! A new dish to me...looks great.